We are pleased to announce we have a new KB+ website which brings together useful information and support documentation for KB+ in one single place. 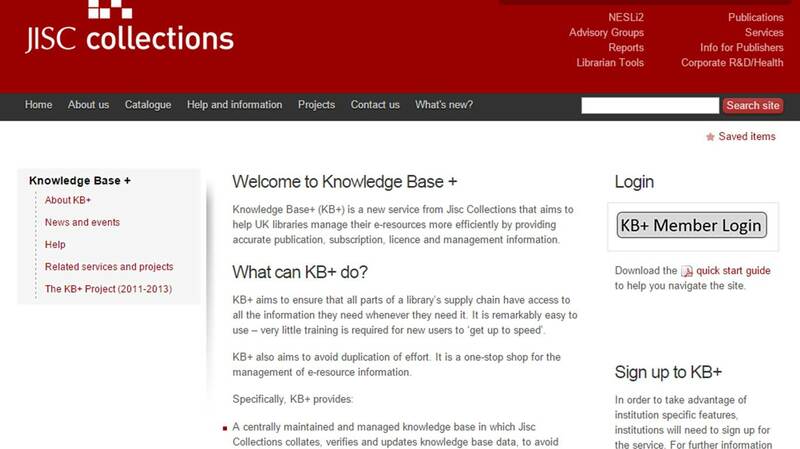 The new website includes the Log In to KB+ alongside links to training and presentations within the ‘News and Events’ section, links to our user guides, FAQs and newsletters in the ‘Help’ section and links to the Jisc Co-Design projects in ‘Related services and projects’. The blog will remain posting regularly on information about KB+ and as a means of communication between the project and the community.